During ASN Kidney Week 2018, Joseph V. Bonventre, MD, PhD, FASN announced the release of the "Technology Roadmap for Innovative Approaches to Renal Replacement Therapy". Dr. Bonventre led a multidisciplinary team during the two year process of developing the roadmap. The roadmap is intended to increase interest, investment, and innovation in renal replacement therapy. It is now available for innovators, researchers, and entrepreneurs. Bringham Health Vital Lines: Are Dialysis's Days Numbered? In June 2016, the White House Organ Summit called for an increase in breakthrough research and development to improve outcomes for patients needing transplants. 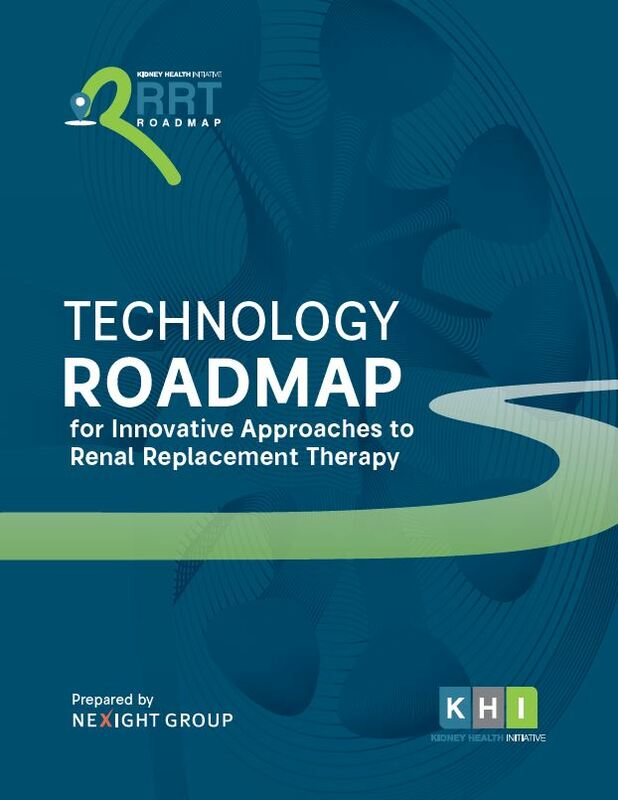 In response, KHI leadership established an initiative on Developing a Roadmap for Innovative Approaches to Renal Replacement Therapy (RRT) to foster a new, multidisciplinary approach to advancing solutions that can improve the lives of millions of kidney patients with end stage renal disease (ESRD). Learn more by reading the roadmap.